Merax is happy to introduce this lazy chair to you! It is great for a living room, home office, or dorm room. We can adjust the backrest in 5 degrees and you can reach the most comfortable position for yourself to watch TV, work on a laptop, or take a catnap. 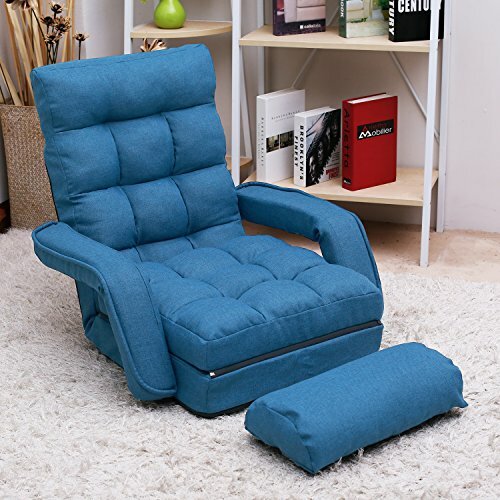 This lazy chair is made of linen fabric ,constructed with steel frame for long time use, padded with soft sponge and polyester fiber for comfortable use.The seat can be folded down to provide comfortable rest for your leg, also can be removed as a cushion.